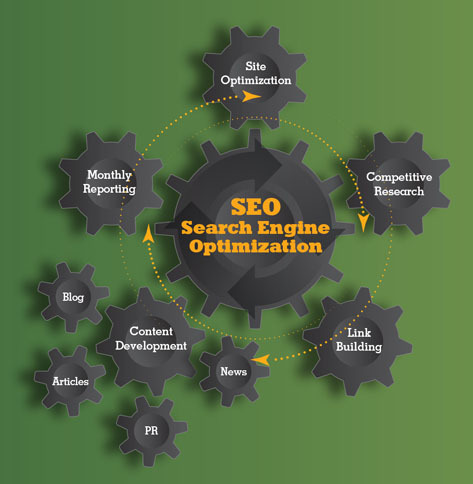 Search Engine Optimization, or SEO, is a hot topic among our clients, competitive advertising agencies, and the business world in general. “We need SEO,” our clients continually tell us. But many times, they do not fully understand what this means or the process involved in getting it done properly. Everyone wants to achieve the number one position on such search engines as Google or Yahoo! It used to be relatively easy to get a high ranking or first–page placement. Now, though, due to the plethora of worldwide competition, it has become far more difficult to achieve this prestigious status. It truly requires a methodical and strategic process to become number one, thus creating a bitter battle for page ranking supremacy. At Zelen Communications, we want the best for our clients and know that obtaining the highest position possible on search engines is key to their success. As a result, we use only proven clean, or “White Hat,” strategies that, over time, build the visibility of our clients’ sites. This process takes time and patience and sometimes up to a year to see the results of hard work. Fortunately for our clients we have the proven SEO experience to boost sites the right way. Since most consumers generally do not click on listings past the first ten results, it’s very important for any company wanting the build their brand and traffic to invest wisely in an SEO program. We invite you to contact us to learn how we can help your business get the results you deserve.